In particular, we need to water our lawns less. Even Texans with the greenest of lawns water them too much, many landscape experts say. And if everyone would turn on the sprinklers only twice a week — still probably more than necessary — the water savings would be significant, according to a report from the Sierra Club released Tuesday. In the Dallas and Houston regions, about 52 billion gallons of water per year could be saved just by cutting back lawn watering, the report says. That’s enough to supply almost half a million Austin-area homes for a year. And the numbers include lawns with St. Augustine grass, among the thirstiest of choices for a green lawn. “Even if you have [St. Augustine] and you want to maintain it, you don’t need to water as much as you have been doing,” said Ken Kramer, water conservation chairman of the Sierra Club’s Lone Star Chapter. The projections are based on the known effects of twice-a-week lawn-watering restrictions in various Texas cities. Only a handful of cities, including Dallas, Fort Worth and Irving, have such limits in place year-round, regardless of whether there’s a drought. Environmental groups say these findings show that addressing Texas’ water problems doesn’t always require building controversial new reservoirs or expensive infrastructure. While the Houston and Dallas areas are projected to double in population by 2060, the savings of twice-a-week-watering would double as well, to 95 billion gallons of water annually, the report says. That’s equivalent to more than half of what the proposed Marvin Nichols reservoir would provide for North Texas, if the controversial $3.4 billion project ever gets built. I’ve blogged about this before. The Texas Water Development Board published a report recently about the state’s future water needs and how conservation could help meet them in a cost-efficient manner. Texas is a growing state, and its water needs will continue to grow as well. But some parts of the state a drier than others, and some parts are growing faster, and as we have seen a lot of these projects to bring more water to where it’s needed are quite expensive. It costs nothing to water your lawn less. Surely we all can see the value in that. Well, there is a lot of water there. The wicked drought gripping Texas has made one thing clear to Bill West: There is not enough water to meet new urban demands and competing environmental needs. So in his search for new sources of water, the general manager the Guadalupe-Blanco River Authority is looking in another direction. West plans to tap the Gulf of Mexico. The river authority has launched a two-year, $2-million study into the economic viability of building a seawater desalination plant by the Texas coast, a technology being used in Australia, Singapore and the Middle East that has been slow to take hold in North America. The cost of desalting seawater is usually many times more than that of conventional water sources, such as rivers and reservoirs. The Texas Water Development Board has estimated that water from a desalting plant will cost about $2,000 an acre-foot, roughly enough water to satisfy two or three families a year. The Guadalupe-Blanco River Authority, which supplies water for a fast-growing corridor between Austin and San Antonio, now sells water from the Canyon Lake reservoir for $125 an acre-foot. Energy is the primary driver, accounting for as much as 70 percent of the operating costs of a seawater desalting plant, said Tom Pankratz, the Houston-based editor of the Water Desalination Report. The Guadalupe-Blanco River Authority would build the desalting facility with a power plant near Victoria, about 130 miles southwest of Houston. The power plant likely would be fueled by cheap and plentiful natural gas from the nearby Eagle Ford play, though the feasibility study also will look at renewable energy sources, such as solar and wind. See here for previous blogging about desalinization. Most of what has been talked about so far has involved brackish water, of which there is plenty in Texas. It’s cheaper to process, since it’s not nearly as salty as seawater. I get the impression that things must be getting desperate if using water from the Gulf is looking like a viable option. Hardberger said the river authority should look more closely at using water more efficiently before building a big desalting plant that could cost more than $1 billion. She is among those who are skeptical of the state’s projected needs, saying the estimate overstates demand by assuming each Texan will use the same amount per day in the future. Others are bullish on a brackish desalination. The groundwater is much less salty than seawater, so purifying it is much less expensive. The San Antonio Water System, for one, is building a $145 million desalting plant above the Wilcox Aquifer, about 30 miles south of the city. There are 46 brackish desalination plants across Texas, with nearly 40 more facilities included in the state’s long-range water plan. The state holds 2.7 billion acre-feet of brackish groundwater, which is 150 times the amount of water Texans use each year, according to the state water board. But West said the Gulf is more attractive than a salty aquifer because he can avoid the often nasty permitting fights with the special districts that oversee groundwater. What’s more, the river authority’s project is an important piece in an “all-of-the-above” water portfolio, especially with climate models showing Texas getting less rainfall as global temperatures keep rising. See here for more on what San Antonio has done, and here for all my previous blogging on desalinization. I’m curious about putting a desalting plant in Victoria – wouldn’t you also need to build a big pipeline to get the water there in the first place as well? Most of the previous stuff I’ve seen on desalinization had to do with brackish water, which is found all over Texas, but in browsing my archives I didn’t see any indication of how much it cost to desalinate brackish water, so I don’t have a basis for comparison. I do agree with Prof. Hardberger that conservation has to be the first priority, as that is always the cheapest option, but in the long term I suspect desalinization will be a part of the equation. I don’t know how much of that will be Gulf water, though. One thing I’ve yet to see mentioned in any story about desalinization is what to do with all the excess salt – technically, the brine water that is left over, which can be 15 to 25 percent of the intake, from what I can tell. If you take salty water and extract all the fresh water you can, you’re going to have to do something with the extra super salty residual water, right? Fortunately, the Sierra Club of Texas has done the heavy lifting on that, and you can read all about it here. If we’re going to go down this road – and I believe we are – we need to make sure we have sufficient environmental controls in place so that we don’t create bigger problems than the ones we’re trying to solve. Lisa Falkenberg reports that some people have raised questions about the Memorial Park part of the Uptown/Memorial TIRZ. Reforestation is sorely needed in a park devastated by hurricane damage and drought. This is a great deal, city leaders and supporters say, a great way to restore our crown jewel to its former beauty. And we should all trust the Memorial Park Conservancy – a private body whose members aren’t elected and which acts as both fundraiser and watchdog for the park – to make it happen. But some meddlesome environmentalists aren’t so trusting. This week, they walked into City Hall and demanded the public have a say, a real say, in the deal. They asked for details beyond a press release. They asked for more than a couple of weeks to sort it out and read the small print. When they were assured by Mayor Annise Parker and some City Council members that the city would have to sign off on any decisions, the environmentalists continued to argue that the public should be involved from the get-go. Not after the fact. Not left holding a rubber stamp. After all, it’s a public park, a very special one with a rare wildness that offers a unique escape in a city as large as Houston. It belongs to all of us, they say. It is not for sale. There are details in a “Letter of Intent” on the project that didn’t make it into the press release. The letter outlining details of the plan states that the Conservancy would be responsible for major decisions including design, bidding, and managing construction projects in the master plan. The city would later have to approve those decisions, but it’s unclear if that leaves enough time for a thorough public vetting. A troubling section of the letter called “Coordination of Public Relations” points out that the conservancy isn’t subject to public information requests. And the agreement would require all parties – even the public ones that are subject to information requests – to coordinate through private parties before disclosing any information to the public. When I asked Joe Turner, Houston’s parks director, about that provision, he said it had been awhile since he’d read the letter. He said he’d read it and get back with me if he had anything to add. He didn’t call back. “The public is a missing piece of this organization. It’s political appointees, private nonprofits and a TIRZ. Where’s the public?” Evelyn Merz, with the Sierra Club, told me. Merz said she’s “appalled” by the plan, but not because she doubts the motives of conservancy members. “I know they care about the park. That’s not the issue. Are they the same as the public? I would say they aren’t,” she told me. My first thought upon reading this was to wonder what kind of public input on the management of Memorial Park exists now. If the TIRZ were to go away, I presume the Conservancy would still be responsible for major decisions concerning the park and any attempt to reforest it via grants and private donations, just as it has always been. If the public has been involved in that in any substantive way, I couldn’t tell you what it is. The difference here is the addition of public funds via the TIRZ. Public money requires public accountability, so it is perfectly reasonable to demand that. Unfortunately, just as there’s no mention of what public involvement currently exists for Memorial Park governance, there is no mention of what type of new or further involvement would make the Mayor’s proposal acceptable. Falkenberg notes that Council would have to approve any decisions made by the Conservancy, but what is being asked for is involvement in the process, before the signoff. I think that’s a fine idea, I’d just like to know what that involvement might look like. I sent an email to Ms. Merz to ask her what she would like to see done to involve the public more directly, but I didn’t get a response. It’s not unreasonable to me for the Mayor to suggest that Council signoff on any proposal gives the public a voice in the process, but it’s also not unreasonable for Ms. Merz to suggest that the public should have its say earlier in the process, while the ideas are still being debated and proposed. I suppose the ordinance that creates the TIRZ could put some requirements on how the Conservancy operates – open meetings, outreach via social and traditional media for feedback, etc. Again, it’s not clear to me what the specific concerns are. I wish Falkenberg had considered that question. Maybe she felt she didn’t have the space for it in her column, but she does have a Facebook page for her column as well as a long-dormant blog, so she did have avenues to explore it that wouldn’t have cost her space in the news hole. Maybe she’ll write a followup, I don’t know. Campos has more. How will transparency in the development of the Master Plan be ensured? The process for creating the Memorial Park Master Plan will follow the same pattern that the Buffalo Bayou Master Plan was developed under. Public meetings will be held during the draft stages; drafts will be circulated for public comment and prior to any finalization of the Master Plan by the consultants selected a public meeting will be held. After that the Master Plan will be brought to the City’s Quality of Life Committee for review and then to City Council for final consideration. Seems pretty reasonable to me. What do you think, Lisa? Despite the rain, the state of Texas is still mostly in drought conditions, and the threat will remain for the next several years. Most of Central and East Texas beat long odds with heavy rains this winter, but experts warned state lawmakers Thursday that the drought is far from over. But Nielsen-Gammon said it’s a coin toss whether the recent winning streak will continue. “The (short-term) outlook is not particularly dire or good,” he said. The U.S. Drought Monitor, a summary of drought conditions that was updated Thursday, showed how quickly conditions can change. As recently as Oct. 4, 88 percent of the state was categorized as being in “exceptional” drought, the most severe level. On Thursday’s map, about 18 percent of the state remained in that category. Nielsen-Gammon said that most of the winter rains fell on the most populated areas of the state. “The people of Texas are going to tend to forget a drought is still going on in many parts of Texas,” he said. In parts of the Panhandle and far West Texas, Nielsen-Gammon said, the drought has gotten worse this winter. Despite the rains and the short-term forecast, Nielsen-Gammon said he still believes Texas remains in a long-term drought cycle. “We are more likely to get droughts over the next decade than the one after that,” he said. Lake levels remain down, and while conservation remains the best strategy for both the short and long term, such planning is often inconsistent and sometimes contradictory. Ken Kramer, director of the Lone Star Chapter of the Sierra Club, urged lawmakers to maximize the state’s existing water supplies. He said that causes inconsistencies in how cities — including neighboring communities drawing from the same water supplies — handle restrictions on water use. For example, Kramer said, voluntary restrictions on water use were never used in Corpus Christi because the restrictions aren’t triggered until the city’s reservoir reaches 50 percent of capacity. Kramer suggested that is too low and that weather conditions — not just reservoir levels — should be part of the equation. “You may well be into a drought before the reservoir reaches the trigger,” he said. Likewise, Kramer said Houston was restricting its residents to twice-a-week watering of their lawns while selling water to neighboring cities that didn’t have those limits. He said water wholesalers, whether public suppliers like Houston or private companies, don’t have a financial incentive to restrict water sales. I don’t see how we can hope to effectively deal with this without some state level regulations. Especially now that some parts of the state are feeling flush, the incentives are all out of whack. It may go against the grain for some folks – Rep. Ritter was clearly not thrilled with the idea – but I don’t see how you can prevent shortsighted usage when there’s a buck to be made without them. The Trib also covered this hearing, and added another dimension to it. How big a threat to the economy is this? This big. Texas’ worst drought in history just got worse, with new estimates putting the agricultural toll at $7.6 billion for 2011 – $2.4 billion above the original loss estimate, which already was a record. The recently updated estimate from Texas AgriLife Extension Service economists was $3.5 billion more than the losses for the previous record drought in 2006. “When you are one of the biggest agricultural-producing states in the nation, a monumental drought causes enormous losses,” said Texas Agriculture Commissioner Todd Staples. If we’re not adequately prepared for when this happens again, we’re going to be that much worse off. Remember how four coal plants were granted permits to pollute more in December? You probably don’t, because it basically happened under cover of darkness. The Sierra Club found out about it and has filed a lawsuit to call a halt to it. The issuance of the permits is “invalid, arbitrary and unreasonable,” according to the lawsuit filed in state District Court in Travis County. Coal plant operators were required to apply for the amendments to authorize increased emissions by Jan. 5, 2011 . The four plants involved in the suit, all owned by the state’s largest generator, Dallas-based Luminant Generation Co., applied for higher emission ceilings and were approved in December. I wish I could tell you more about this, but the Sierra Club webpage has no information on the suit, and I have been unable to get a copy of it for myself. So this is all I know for now. Texas Vox also wrote about this, but they don’t have anything more than the Statesman did. I’m talking about greenhouse gases, of course. And the answer is, now you can find out for yourself. The greenhouse gas wars are about to heat up again in Texas. Next month, a federal court hears oral arguments in lawsuits that Texas has filed to challenge the Environmental Protection Agency, which began regulating heat-trapping emissions a year ago. The EPA is hardly backing down. On Wednesday, the agency released an easily searchable database of big greenhouse gas polluters across the nation, prompting Texas environmentalists to immediately list the largest polluters in the state. 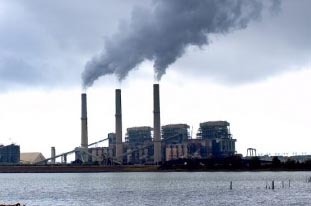 Topping the list is the 1970s-era Martin Lake coal plant (pictured) in the East Texas city of Tatum. In 2010 it emitted nearly 19 million metric tons of carbon dioxide, about 13 percent more than the runner-up, the W.A. Parish coal plant in Thompsons, southwest of Houston. In third place is the Monticello coal plant in Northeast Texas, which narrowly avoided a shutdown when a federal appeals court issued a last-minute stay to an EPA pollution rule last month. “This will be the first time that this data is publicly available and will inform Americans about the heat-trapping greenhouse gases emitted in their communities,” wrote Elena Craft, a health scientist with the Austin office of the Environmental Defense Fund, in a blog post. Power plant data has always been available, she said, but now industries like pulp and paper and landfills must also report it. The photo above, courtesy of Think Progress, is of the Martin Lake plant in Tatum, TX, which has the distinction of being the nation’s top mercury emitter in 2009 (click the TP link for the chart) as well as Texas’ top greenhouse gas emitter last year (the Trib has that chart). No wonder the Sierra Club has targeted it for closure. Note that the other two plants named in that report appears on each of those lists I mentioned – Texas had four of the top five mercury polluters in the country in 2009, with Martin Lake #1, Big Brown #2, and Monticello #5. And as Patricia Kilday Hart reminds us, we have Rick Perry to thank for a lot of this. Back then, Perry predicted the new plants would be an economic boon. Well, yes, says one of his toughest critics, Environmental Defense Fund attorney James Marston. Wyoming, Marston says, sends rail cars full of coal south to Texas power plants, and we refill them with cash and send them home. To the tune of $1.9 billion a year. This, at a time when Texas is awash in cheap natural gas, a cleaner alternative for the production of electricity. And about the promise that coal plants would create new jobs? We were hoodwinked. According to a national study by the Ochs Center for Metropolitan Studies, proponents claimed the $2.3 billion Oak Grove project in Texas’ Robertson County would produce 2,400 construction jobs. But total construction employment for the entire county increased by only 329 during the peak construction year, the researchers found. Similarly, in Milam County, the construction of the Sandow project was supposed to produce 1,370 jobs, but only 463 positions materialized. And yet Perry and his henchman Greg Abbott keep up their crusade to let these polluters have free rein. It’s clear whose interests they have in mind. Even in the absence of enforcement, publishing these data may have a positive effect, as Brad Plumer notes. In a conference call with reporters Wednesday, Gina McCarthy, the EPA’s assistant administrator for air and radiation, compared the new greenhouse-gas reporting law to the agency’s Toxics Release Inventory (TRI), a database that was passed by Congress back in 1986 to measure and publicize the release of more than 320 toxic chemicals from industrial facilities around the country. “[The TRI] had a tremendous impact in terms of providing opportunities for reduction, and we’re really hoping this information will do the same,” McCarthy said. And, in fact, a variety of analyses suggest she might be onto something. One recent book, “Coming Clean: Information Disclosure and Environmental Performance” charts the impacts that the Toxics Release Inventory had on polluters. As Mark Stephan, a professor at Washington State University, Vancouver, explained to me, he and his co-authors conducted interviews with a variety of companies about their responses to the new public database. Many companies didn’t even realize they were spewing out so much pollution until forced to start keeping records. And that proved to be a big deal. For instance, when the inventory was first disclosed in 1987, Monsanto executives realized that the company was one of the largest emitters in the country and pledged to reduce its toxic air releases 90 percent by 1992. This wasn’t in response to any new laws — Monsanto wasn’t legally required to do anything. The company was simply reacting to public information. Stephan adds that many other companies soon followed suit, in response to a fusillade of newspaper stories about toxic waste and pressure from community groups and local environmentalists. That’s good news, but I have a feeling we’re going to need more than just bad publicity to get some real action around here. Still, forewarned is forearmed. At least we know what we’re up against. The city of Austin is trying, but there are many obstacles along the way. In Austin politics, it’s almost an article of faith that the city must aggressively curb its contribution to global climate change, regardless of what transpires across the rest of the country. That philosophy has led environmentalists to target the Fayette Power Project, a coal-burning plant 83 miles east of downtown Austin. The plant’s fate is sure to be among the city’s most hotly debated political topics this year. A major rate increase for Austin Energy customers is coming regardless of what the utility does with Fayette, and Republican legislators already skeptical of Austin-style environmentalism have indicated they would not look kindly on additional increases. But after failing to persuade Congress to enact coal restrictions in recent years, the Sierra Club has focused its lobbying efforts on local decision-makers — a change that includes targeting Austin Mayor Lee Leffingwell. Leffingwell won environmental plaudits when he pledged to move Austin off coal during his re-election campaign kickoff in November. Other council members have also committed to the idea in the abstract. But their statements are carefully parsed, and they have avoided committing to a time frame, particularly the 2016 date sought by the Sierra Club. Many details — most notably the cost to the average customer — will probably remain murky until Austin Energy finishes a comprehensive study next fall. But ahead of the heated debate that is sure to come, another question has emerged: How environmentally ambitious should Austin be? Should activists push Austin Energy to shut Fayette down? Should they push for the city to sell? Should the city stick with a plan already in place to begin weaning Austin off coal over the next decade? All of those plans have advantages — and significant drawbacks. That picture is of the Fayette Power Project, which you’ve seen if you’ve driven along Highway 71. Part of the problem is that the Lower Colorado River Authority, which jointly owns the FPP along with Austin Energy, plans to continue to use it even if Austin Energy pulls out, meaning that just getting Austin weaned off coal won’t actually reduce coal consumption. It’s cheap energy, so someone will buy it if Austin won’t, and Austin will need to figure out how to pay for energy sources that are more expensive, at least for the foreseeable future. There are legal issues as well, not to mention the possibility of legislative meddling. It’s a noble and worthwhile goal, one at which I hope they succeed, but the path forward is long and unclear. There was some bad news at the end of the year. A federal court ordered [last] Friday that the Environmental Protection Agency’s controversial cross-state air pollution rule be stayed — to the delight of Texas officials and the chagrin of environmentalists. The rule, which sought to reduce sulfur dioxide and nitrogen oxide emissions from power plants in Texas and 26 other states, had been scheduled to take effect in January. Now it will await a ruling by the court on its legal merits. Luminant, a Texas power-generation giant, said that it would no longer shutter two units at its Monticello coal plant in Northeast Texas. Luminant “intends to continue closely evaluating business and operational decisions given that this stay does not invalidate the rule, but delays a decision on its implementation until a final court ruling is issued,” the company’s statement said. Environmentalists, who have been trying to shutter Monticello for years, are disappointed with the decision. Needless to say, Rick Perry and Greg Abbott cheered this on and vowed to continue the fight to let polluters do whatever they want. The point of this rule is the very simple recognition that air pollution created in one state can and does travel to other states. Having grown up across the river from New Jersey’s manufacturing plants – you know, all that stuff Tony Soprano drives past on the Turnpike – I can personally attest to this. For that matter, we’ve seen this movie before right here in Texas, with the Midlothian cement plants and their deleterious effect on the air quality in neighboring Dallas and Tarrant Counties. You’d think it would be self-evident that those who create the problems would be held accountable for the cost they impose on others – this is the sort of concept we generally teach our children, after all – but not to Rick Perry and Greg Abbott. Perhaps someone should remind them what America looked like before the EPA came into existence. That’s where they’d like to take us again, and that’s why this is a big deal. It was very unfortunate and puts at risk air that millions of people breath. Texas has some of the worst air in the nation (I’ve attached a fact sheet above for you), and most of that pollution is generated by the 2,000 industrial facilities in our state. But at the same time, air pollution doesn’t stop at a state line and much of Eastern Texas is impacted by industrial emissions from Louisiana. Without a cohesive plan that forces states to be a “good neighbor,” we’ll continue to have problems with cleaning up the air we all breath. There’s no doubt Texas has major air pollution problems and much of the blame lies with Governor Perry’s appointees over at the Texas Commission for Environmental Quality. But at the same time, this rule would have helped our state tremendously because it would have leveled the playing field for most of the Eastern states. But don’t worry, this rule will eventually prevail. States across the nation need it in order to comply with basic clean air act provisions. Folks do a lot locally, but you also have to help out your neighbor. We’re one nation, and the clean air act recognizes that important fact. The aformentioned fact sheet can be seen here. When you take that next deep breath of sweet chemical emissions from Louisiana, you know who to thank for it. There’s more than one way to conserve water. The city of San Antonio recycles theirs to get the most out of what they have. To keep the river flowing, the city used to have to pump up to 5 million gallons a day from its precious supply, the Edwards Aquifer. Now, by using a state-of-the-art water treatment plant, the city produces high-quality, recycled water that’s just shy of being drinkable. San Antonio’s River Walk is not alone in using the treatment plant. Big industrial customers like the Toyota manufacturing plant, Microsoft Data Center, USAA Insurance and the city’s golf courses also take part. More than 60 miles of recycled-water pipeline built in the last decade now snake through San Antonio. Guz says it started in the early ’90s when the Sierra Club sued the city in federal court to protect an endangered species — the blind salamander — that lived in the water supply of the Edwards Aquifer. When the judged ruled in favor of the Sierra Club, San Antonio politicians and newspapers spitted with rage. Twenty years later, the current San Antonio Mayor Julian Castro says his city has learned the judge was right. “The city, over these last two decades, really has made lemonade out of lemons. In fact, the number of gallons per consumer in San Antonio per day that is used has gone down from just over 200 to about 130,” Castro says. Funny how these things work, isn’t it? The point here is that while San Antonio’s population has been growing, the amount of water available to it is finite. Either you make the best use of what you have, or you suffer for it. San Antonio’s good choices mean that the city can continue to grow and prosper. Texas’ largest energy producer, Dallas-based Luminant, has launched an online campaign against a new federal rule that the company says will force the closing of units at one of its coal-fired power plants and three nearby mines. Luminant’s new website, reconsidertherule.com, takes aim at the Cross-State Air Pollution Rule, which requires aging power plants in 27 states to install modern pollution controls to sharply cut emissions of sulfur dioxide and nitrogen oxide by Jan. 1. The company filed a federal lawsuit Monday against the Environmental Protection Agency to block the rule, saying the deadline is impossible to meet. Every time a new environmental rule comes down, industry proclaims the sky is falling, and that compliance will be too expensive. Yet, all of our major environmental standards—the Clean Air Act, the Clean Water Act, the Endangered Species Act to name a few—are roughly over 30 years old and all the while, the United States has seen clear economic growth and a cleaner, safer, healthier environment for workers and citizens alike. The Cross State Air Pollution Rule (CSAPR, pronounced “Casper” even though the acronym is missing a few letters) is no different but here, only Luminant, Texas’s largest power provider, is crying and carrying on as if one rule would be decisive for any regulated business. In truth, as Tom Sanzillo’s recent op-ed in the Houston Chronicle pointed out, poor financial choices, made worse by lower natural gas prices, and rising competition from renewables, made business tough for Luminant long before any new air quality rule was finalized. The Rule affects 27 states and creates a cap and trade system for pollutants primarily responsible for the formation of ozone. Ozone, as every Houstonian has dealt with and knows, is smog and has been scientifically linked to premature death, lung damage, and aggravation of asthma or other respiratory conditions. But because the rule is a cap and trade system, any polluting entity can continue to pollute at the same levels as it does today, as long as that same entity purchases pollution allowances on the open market. It’s a sort of pay to play, recognizing that a business can be in the driver’s seat, determining how best to improve air quality within its own fleet. For this rule, every power provider in the state has known something like this was coming since 2005, when then-President George Bush’s administration promulgated a similar transport rule across state borders. Nearly 500 industrial plants in the Houston/Galveston/Brazoria area, 120 in the Beaumont/Port Arthur area, and 342 in the Dallas/Ft. Worth area have had to install and operate air pollution control systems because those areas fail to meet basic public health safety limits for pollution – the areas are all in non-attainment. But Luminant has saved hundreds of millions of dollars by not installing air pollution controls compared to the more than 900 other industrial plants that have done their part in cleaning up dirty smoke stacks and attempting to clean up Texas’s awful air quality. You can see why only Luminant has reached far and wide into the media, into state government, and into the courts in an effort to stop a rule that will drastically improve the lives of every day Texans. Mayor Parker and Houston industry should fight to defend this rule and level the playing field. But unfortunately, while this rule will create real and substantive improvements in air quality — eliminating multiple non-attainment regions across the country — the Houston/Galveston/Brazoria non-attainment region will still have major air quality concerns after this rule is implemented. (See page 30 and 31.) And in truth, so will Texas. But the path forward is a go local argument for the state. Texas leads the nation in wind production, has huge untapped solar and geothermal resources, and generally has the most underutilized natural gas capacity of any state in the nation. Instead of capitalizing on this potential, all of the state’s power is focused on overturning this rule. Unfortunately, what scores points in party circles doesn’t often make good policy. Jen Powis is the state lead for the Sierra Club’s Beyond Coal campaign working to transition Texas’s electric system to cleaner alternatives. The campaign is currently working to stop the construction of seven proposed coal plants, and retire older facilities in order to make room for cleaner and greener systems. 1 All data is compiled from the self-reported emissions inventory in 2009 and maintained by the Texas Commission on Environmental Quality (TCEQ). My sincere thanks to Jen Powis for writing that. The one thing I will add is that if you read that Tom Sanzillo op-ed, it references a report he wrote for the Sierra Club regarding Luminant’s finances. A little Googling led me to that here. It’s a bit technical for me, but the basic gist of it is that Luminant is way overleveraged; the op-ed summarizes it succinctly. The bottom line is that you should keep all this in mind when the pollution apologists complain about what that bad ol’ federal guvmint is making them do now. PDiddie attended the Houston Frontlines tour that I blogged about before, and wrote a really nice, detailed report about it. Some background: Tar sands oil contains — among other heavy metals, neurotoxins, and carcinogens — an average of 11 times more sulfur and nickel, six times more nitrogen, and five times more lead than conventional crude oil (.pdf source here). Refining it emits three times as much global warming pollution as conventional oil (here), and the massive network of refineries along the Ship Channel is one of the only places in North America with the industrial capacity to create fuel from the tarry sludge of bitumen flowing from Alberta, Canada. Consequently, it is already one of the worst public health zones in the nation. The proposed Keystone XL pipeline would bring upwards of 700,000 barrels of oil per day, and potentially 900,000 once the pipeline is completed, to be refined in Houston and Port Arthur. That represents about 35% of the capacity of the targeted refineries. 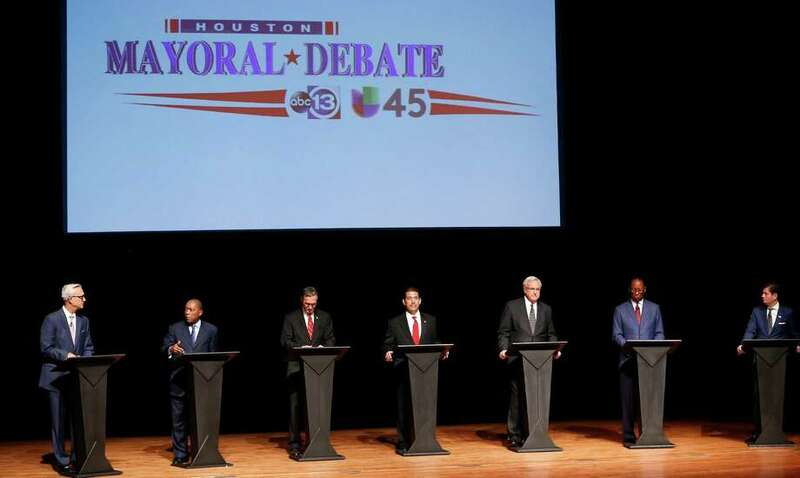 Given that this oil is a lower quality crude with higher levels of toxic contaminants than usual, the risk of extremely grave consequences is unacceptably high — for Houston’s air quality, the health of its citizens and the repercussions from the federal government for continually failing to meet clean air standards. Are you familiar with tar sands? The Sierra Club would like to acquaint you with them this Thursday, December 16, on its Houston Frontlines tour. Elected officials and community members will gather at Hartmann Community Center on Thursday, December 16th for a tour of industrial facilities along the Houston Ship Channel and the communities they pollute. A press conference will follow the tour, but members of the press are welcome to join the tour as well. Juan Parras, Director of t.e.j.a.s. (Texas Environmental Justice Advocacy Services) will be leading the East End tour that will focus on the health threats low-income Houstonians face from refining pollution and the dire consequences of increasing pollution from the proposed Keystone XL pipeline, which would drive a significant increase in refining of Alberta’s tar sands in the Ship Channel area. Tar sands oil contains, among other toxic metals, an average of 11 times more sulfur and nickel, six times more nitrogen, and five times more lead than conventional crude oil. Secretary of State Hillary Clinton is in charge of permitting the pipeline. After the tour, local Officials will publicly call on Secretary Clinton and the State Department to conduct a full examination of the pipeline’s impact on Houston’s air quality in the form of a Supplemental Environmental Impact Statement before granting approval for the project. Lunch will be provided during the Tar Sands and Keystone XL educational seminar that begins at 12 Noon. Panelists include Clean Air Director Neil Carman, Director of t.e.j.a.s. Juan Parras, and Sierra Club Dirty Fuels Director Kate Colarulli. The goal of this is to request a Supplemental Environmental Impact Statement (SEIS) from Secretary of State Hillary Clinton, which will guarantee that an analysis of the project’s impact on public health is completed, and that there is time for the public to respond to this new information. To learn more, go to Toxic Tar Sands: Profiles From The Front Lines. To join the tour, respond to the Facebook event. In 2007, the Texas Legislature created a process to determine how much water is needed to protect rivers and bays across the state while allowing for increased water use due to population growth. The law was hailed by environmental groups and many in the water development community as a step forward on a long-contentious issue. Unfortunately, the Texas Commission on Environmental Quality appears poised to waste this opportunity to protect our rivers and bays. TCEQ recently released a rule proposal that would allow the rivers to be reduced to a trickle and leave Galveston Bay without meaningful protection. In most places, TCEQ’s recommended levels would allow Trinity River flows to be reduced to levels seen only about 5% of the time in the last 50+ years. This could harm water quality and could affect the ongoing plans for restoring the Trinity in the DFW area. Low water levels could impact fish and wildlife up and down the river basins. The shallow waters covering Galveston Bay’s 600 square miles have historically produced as much as 80% of the oysters harvested in the state. The area’s blue crab and shrimp harvests are also some of the largest in Texas. Galveston Bay is loved by recreational anglers and its shallow waters are home to Atlantic croaker, flounder, spotted seatrout, and many other species of fish. Nearly three hundred different kinds of birds have been seen in the area around Galveston Bay. Galveston Bay’s 600 square miles is one of the most biologically diverse places in the state. Nearly three hundred different kinds of birds have been seen in the area around Galveston Bay. This natural diversity is due in large part to the freshwater flowing into Galveston Bay from the Trinity and San Jacinto rivers. If the rivers are allowed to dwindle to a trickle, Galveston Bay would be deprived of freshwater and would become increasinly salty and less hospitable to wildlife. The standards need to be strengthened in accordance with an alternate proposal submitted by the National Wildlife Federation and the Lone Star Chapter of the Sierra Club. This alternate approach is based on the work of the majority of the regional Expert Science Team, but simplified to minimize potential water supply impacts and make it easier to implement. This alternate rule protects the rivers and bay by proposing reasonable flows of water for people and the environment. YOU CAN HELP MAKE A DIFFERENCE. Help protect the Trinity and San Jacinto Rivers and Galveston Bay by telling TCEQ to strengthen the proposed rule by the December 20th deadline. Comments may be submitted online here or faxed to (512) 239-4808. All comments should reference Rule Project Number 2007-049-298-OW. There will also be a public hearing on this in Austin on the 16th at 10 AM at TCEQ headquarters, Building E, Room 201S. This is on I-35 between Braker and Yager Lanes – see here for a map and directions. For more information on this issue, see this Chron story, this Galveston Daily News editorial, and this National Wildlife Federation fact sheet. You can also easily leave your public comment online. Please do so by the 20th if you want to be heard by the TCEQ. I can’t say I knew much about this before I read the story, but now that I have my initial reaction is to be skeptical. The case for biomass power is that it derives from a renewable resource: trees. The power plants can produce electricity around the clock, unlike wind turbines and solar panels, which work only when the weather is right. They also create jobs. I certainly get why East Texas might be interested in tree waste as a source of power, but I have two concerns. One is that any time you talk about burning something, you have to wonder about the carbon effect, among other things. Neil Carman, the clean air director of the Sierra Club in Texas, says he is skeptical of the claims by biomass plants that they are “carbon-neutral” because the calculations would depend on how long it takes for the trees — the original source of the fuel — to grow back. The other question is, what exactly is “wood waste”, and isn’t there something else you could be doing with it? Rotting in the forest is how nature has taken care of this stuff forever, so it’s not clear to me why we shouldn’t just keep letting that happen. Beyond that, I remain skeptical but would like to learn more. What do you think about this? Looking for something to do Saturday? The Sierra Club has a suggestion. Join us on JULY 24TH, from 4-10pm for a day of music and art. At the Discovery Green, 1500 McKinney Street. On July 24th, the Sierra Club and the Texas Environmental Justice Advocacy Service (TEJAS) with other environmental groups, community organizations, and businesses from Houston and around the state will come together to help clean up Texas. With a concert free to the public, this broad and diverse coalition will speak out with Texans standing up demanding clean air and clean energy for a healthier Texas future. Speakers include State Sen. Rodney Ellis, State Rep. Ana Hernandez, Representative Ana Hernandez, Matthew Tejada of Air Alliance Houston, and Juan Parras of TEJAS. Come on out, hear some music, and see what they’ve got to say about a cleaner Texas. The report calculates that if these 18 cities achieved just a twenty-five percent reduction in outdoor water use, they could save, collectively, an average of 147 million gallons every day during the summer. The Texas Water Development Board has estimated that about half of the water we use on our landscapes is wasted due to overwatering or runoff. Reducing summer peak usage can also save millions of dollars in treatment costs. Improving Automatic Irrigation Systems: Irrigation systems are becoming increasingly common in Texas. The American Water Works Association estimates that homes with in-ground irrigation systems use 35% more water than homes without irrigation systems. Many of these systems are not designed or installed correctly-staff at the Austin Water Utility report water waste of 20% to 50% from poor system design. The report recommends that cities should take steps to make sure that these systems are as efficient as possible by offering free system audits and rebates on upgrades such as rain sensors. Rethinking the Lawn: Over the past five years, permits for close to 600,000 new single family homes have been issued in Texas. Decisions made today about the types of lawns and landscapes to install in new developments have the potential to influence water use for decades to come. Smaller areas of turfgrass and the use of drought-resistant grasses can make a big contribution to reducing water use. Unfortunately, with only a few notable exceptions, Texas cities are currently doing little to guide new developments in this way. Rate Structures: A strongly tiered rate structure is the most equitable way to price water. Most residential customers use limited amounts of water, placing smaller demands on the system, and should pay less per unit of water as a result. For example, the San Antonio Water System has found that about 80% of their residential customers do not see any significant rise in their bills during the summertime. This indicates that the 30% bump in total water use that San Antonio sees during the summertime is primarily caused by a small portion of the utility’s customers. However, heavy users in most cities usually pay little more-and often less-per thousand gallons than frugal water users. The full report is here (PDF), and it’s worth your time to read. Remember that regardless of what a city’s average daily water usage is, it has to build infrastructure – treatment plants, pipelines, etc – based on peak usage. Shaving even a bit off that peak can mean the difference between having to spent millions to build and operate another plant, or having to build a larger and more expensive plant, and not having to do so. A little bit of conservation can mean a lot of savings. Here in Houston, where we are blessed/cursed with generally abundant rainfall, our summer usage only increases by about 14% over winter. Of course, our water rates just went up by 30%, so the potential for savings here is just as great. And on an absolute scale, even though Houston’s consumption rate only increases a little, our total usage increase is among the highest just because we have the most people. As such, if we all trimmed back a bit, the cumulative effect would be large. The Sierra Club has an announcement. The impact of toxic tar sands oil on Houston’s air quality will be the subject of a press teleconference on Friday morning in the hours before a public hearing hosted by the State Department on the same issue that night. The Obama Administration is considering a proposal by TransCanada for the Keystone XL pipeline which would carry toxic tar sands oil from Canada through the American heartland to Texas. Last week the public comment period was extended through July 2 and the Houston hearing was added at the urging of Houston Mayor Annise Parker, Sierra Club and other groups. More than 60 Houston residents turned out to an Air Quality Forum hosted by the Sierra Club last Thursday that focused on the tar sands threat. More information about this pipeline is at the link above, and more information about tar sands is here and here. Hope you can make it. The Sierra Club is taking legal action against the Environmental Protection Agency, saying it has dragged its feet in Texas. The group said EPA officials have missed legal deadlines for action on limiting Texas pollution’s effects on neighboring states; reducing pollution from particulate matter, or soot; and regulating ozone, or smog. “The [Obama] administration has failed to carry out its obligations,” said Neil Carman, clean-air director for the Sierra Club’s Texas chapter. In spring 2005, the EPA found that Texas had failed to submit complete plans for reducing the transport, or interstate drift, of ozone and particulates. When two years passed with no approvable Texas plans, the EPA was required to write and implement its own plans, Sierra Club attorney David Baron wrote in the draft letter to the EPA. Five years later, the EPA has neither approved Texas’ submissions nor written its own substitute plans, Baron wrote. The EPA missed similar deadlines for action regarding Texas’ particulates plan on Oct. 22, and regarding the state’s ozone plan on April 28, Baron wrote. They’ll file a lawsuit in 60 days if these issues are not addressed. The Trib has more, including a more detailed look at the “flexible permits” issue. The San Antonio Water System presented a proposed rate structure to the City Council on Wednesday that would penalize high-volume users while rewarding those who use less. “This is designed to change behavior,” said Doug Evanson, SAWS chief financial officer and senior vice president. By increasing rates for the top 7 percent of all users by 13.8 percent, SAWS believes those customers will voluntarily use less — conserving 1.4 billion gallons of water a year. According to the utility, the average consumer in the top tier would see a $20 monthly bill increase. “You are just shifting who is paying the bill,” said District 9 Councilwoman Elisa Chan, who said although she opposes water waste, given the poor economy, rates should not be increased for any customers. Because large water consumers use the most during droughts, they are driving peak demand and the need for SAWS to find new water sources, which are more expensive and raise rates for everyone, said Karen Guz, SAWS director of conservation. Getting water from the Gulf Coast, for example, would mean building a desalination plant and pipeline at a cost of more than $1 billion. “In the long run, conservation for San Antonio is going to be much cheaper for everyone,” McCormick said. Sure seems like a no-brainer to me. We’ve talked a lot about flooding and drainage issues, and about the possibility of water rate increases in Houston, but something that has not gotten a lot of attention is water conservation. I want to call your attention to a new report that examines this in detail. The National Wildlife Federation and the Lone Star Chapter of the Sierra Club released a joint report today recommending seven common-sense water conservation measures. The report reviews 19 cities around the state to see where these measures are in place and concludes that, with some exceptions, most of the cities surveyed are not doing enough to make the most efficient use of existing water supplies. Water conservation is a lot like energy conservation in that it’s not only a good idea, it’s also likely to save you a bunch of money in the long term. There are a number of ways that a city can do that, and some cities in Texas – particularly Austin and San Antonio, which get a lot less rain than Houston – are already aggressively pursuing them. Water Pricing Structure: The report recommends a strongly tiered rate structure with affordable prices for those who use water efficiently and effectively higher water rates for customers who use excessive amounts of water. Austin was the only city whose residential use pricing structure earned a “Strong” rating, while Beaumont, Lubbock and Plano all had rate structures that, when assessed as an effective rate, offered significant discounts for high users, thereby encouraging wasteful water use. Conservation Funding: Most of Texas’s biggest cities now have reasonably well-funded conservation departments. The city of Houston was the only major city in the state without a conservation department or any significant specific funding for conservation. 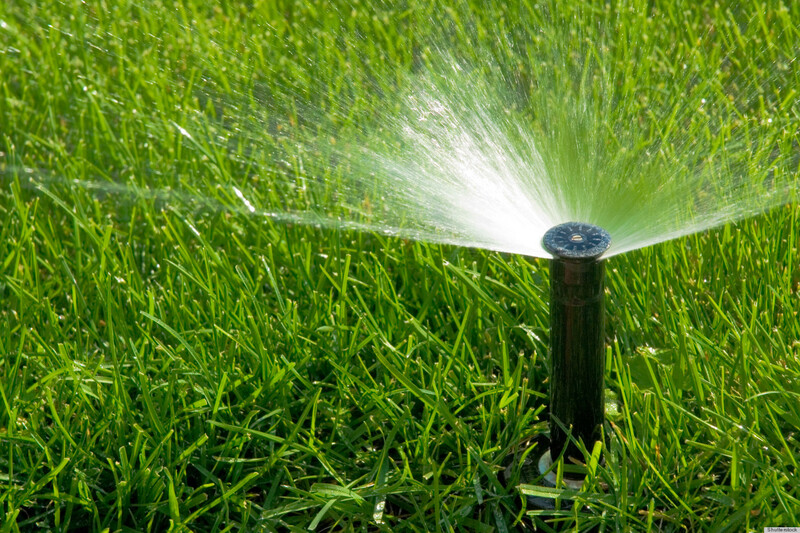 Outdoor Watering: In Texas, a significant amount of treated drinking water is used for watering lawns. The Texas Water Development Board estimates that over half this water is wasted due to overwatering or run-off. Only two cities in our survey-El Paso and Austin-had “Strong” outdoor watering ordinances while ten cities placed no restrictions at all on outdoor watering. [T]iered pricing systems can be effective at lowering water use because a large portion of a city’s water supply is used by a fairly small percentage of the population. The City of Albuquerque has found that half of its households use, on average, three times as much water as the other half. A relatively small handful of users is exceptionally profligate with water and these individuals are largely insensitive to water prices as they are currently set. In 2008, the top ten water users in the city of Dallas collectively used an astonishing 60 million gallons of water. An earlier 2003 National Wildlife Federation analysis of the Dallas Water Utility’s residential accounts shows that the top 5% of water users in that city used over 25% percent of its water. In November 2009, the Austin Water Utility implemented sharply rising rates, with a top tier of $10 per thousand gallons for those who use more than 25,000 gallons a month. These rates are significantly higher than top tier rates in most Texas cities. The average Austin household uses around 8,500 gallons of water a month and would not be affected by the highest rates. The Austin Water Utility has low-to-average rates for more frugal water users. Additional revenues from a city’s top rates can be used as a dedicated funding source for a utility’s water conservation programs. More than half the revenue from Albuquerque’s summer excessive use surcharge is allocated to its water conservation program. Much of this funding is returned to Albuquerque residents through rebates and other incentives. The San Antonio Water System has a similar program, devoting nine cents per 100 gallons of the cities’ top water rate to the help fund residential water conservation program. If the city of Houston does nothing else, I hope it follows Austin’s model for pricing water usage. As the report notes, there is a lot that Houston can do to promote conservation. I know the city is looking at a big revenue shortfall right now, but there really isn’t a better time than this to pursue some of these ideas. At the very least, a more tiered structure for water rates would bring in more cash and would do it by making the heaviest users pay the most. Done right, it’s likely that relatively few people would see any kind of increase, and it would provide funds for further conservation efforts, which in turn will be a net savings for the city. Read the report and see what you think. The Star-Telegram and Forrest Wilder have more, while SciGuy delves into a somewhat related topic. Here’s the Chron story on that EPA hearing on smog from Tuesday. The EPA’s plan calls for a smog limit between 60 and 70 molecules of ozone per billion molecules of air, down from 75 parts per billion set in the final months of Bush administration. Ozone is the main ingredient in smog. Federal regulators have said the proposed standard reflects research showing the nation’s most widespread air pollutant poses greater health risks than previously thought. Chronic exposure can trigger asthma attacks, chest pain and premature death. The tougher stance will likely have a profound effect on Texas, where more than 25 counties could be out of compliance and in jeopardy of losing federal highway funds. By the Sierra Club’s estimate, as much as 80 percent of the state’s population would be breathing air not meeting the standard. A press release from Clean Air Texas, which includes information on how to email comments to the EPA on this if you missed the meeting, is here. Most of the naysaying from the TCEQ and from industry shills boiled down to “it’s too hard” and “it’s too expensive”. I see this as a great opportunity for innovation and invention, which will be an economic driver going forward. It’s also the case that the pollution we experience now is plenty expensive, it’s just that those costs tend be externalized. That can’t be allowed to continue, which is what this is all about. Having said all that, it is true that only so much of this is related to manufacturing and refining, and we can only make so big a dent in it without tackling vehicular emissions. Doing that, however, requires things like better emissions and fuel economy standards, and enabling people to drive less. Needless to say, that’s a lot harder to do. But we’ve got to start somewhere, and this is the place to do it. UPDATE: Forgot to include a link to this report on the state’s air quality (large PDF), among other things, by the Center for Houston’s Future. Fortunately, Tory reminded me about it. Right now the EPA is accepting public comments on proposed new ozone standards that will make the air we breathe cleaner and our communities healthier, but they are facing fierce opposition from the coal industry and its allies. We need you to join us the public hearing in Houston to show that Texas is ready to be a leader, instead of a laggard. The Coal and Oil industry is going to come out with a vengeance. TCEQ and Governor Perry have already threatened to sue the EPA over this proposed ruling on ozone standards. If you can help organize turnout for the event—making phone calls, going to meetings, and spreading the word please email eva.hernandez@sierraclub.org or call Eva at 512.299.1550.
Who: The EPA and You, your friends, family and neighbors. To preregister to speak at the public hearings, please contact Ms. Tricia Crabtree at: crabtree.tricia@epa.gov; telephone: (919) 541-5688. If you wish to speak at the hearing but don’t pre-register, you much arrive before 7:30 pm that evening at the Hearing location. Otherwise, you can submit a comment to the EPA Docket here. The public hearings will begin at 9:30 a.m. and continue until 7:30 p.m. or later, if necessary, depending on the number of speakers wishing to participate. The EPA will accommodate all speakers that arrive and register before 7:30 p.m.
For Rideshare info to the hearing, click here. A list of people who are already scheduled to speak, including Houston Mayor Annise Parker and State Sens. Wendy Davis and Rodney Ellis, is here, and more information about the hearing is here. Please come out in support of clean air if you can make it.